Ajax have been whipping boys for Real Madrid in the UEFA Champions League with another win for Los Blancos on the cards at the Johan Cruijff Arena. Ajax have seen over 4.5 goals in five of their last six home matches in all competitions with Real Madrid winning 4-1 in their last two encounters. A repeat performance is a real possibility on Wednesday night. Ajax Amsterdam have lost two of their last three Eredivisie matches to find themselves six points behind PSV Eindhoven in the title race. Erik ten Hag’s side were beaten 1-0 at Heracles on Saturday in a match they completely dominated. 64% possession and leading the shots on target 7-2 wasn’t enough as Klaas-Jan Huntelaar and Hakim Ziyech missed a number of opportunities. Noussair Mazraoui came off the bench and could start here and but Barcelona bound Frenkie de Jong is a doubt and will hope to feature. Kasper Dolberg could replace Huntelaar up front for the hosts who have no problems scoring goals at home. Ajax have scored three goals or more in their last six home matches in all competitions. Real Madrid are in good form and coming off a 3-1 in the Madrid derby at the Wanda Metropolitano. Casemiro and Gareth Bale scored either side of a Sergio Ramos penalty for a crucial win that took Los Blancos over their cross town rivals and into second place in La Liga. Santiago Solari’s only doubt for the trip to Amsterdam is Isco who hasn’t been playing regularly anyway. Lucas Vázquez and Vinícius Júnior have been occupying the wing positions but Bale is in contention after his goal against Atletico. 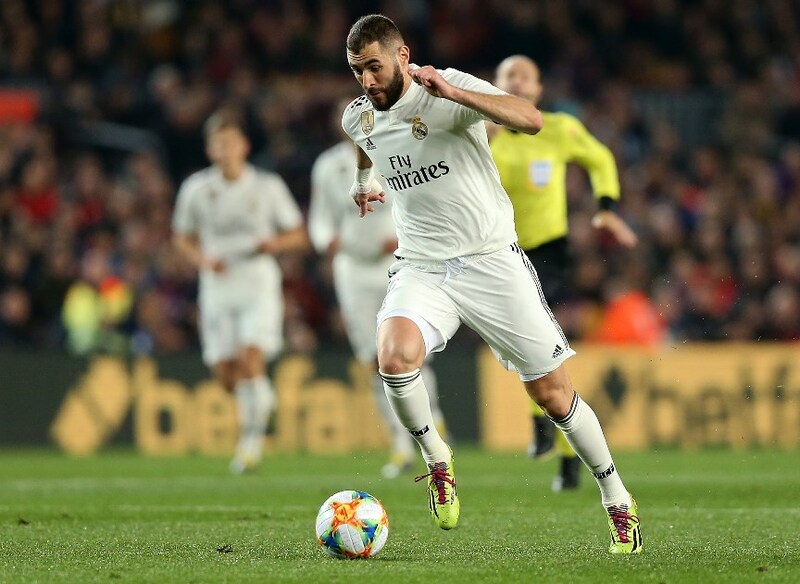 Karim Benzema hasn’t scored in his past two games but had netted six goals in four previous appearances. Marcelo has been overtaken by Sergio Reguilón for the left-back position who could start again. Real Madrid have won the last six matches against Ajax, scoring 20 goals and conceding just twice. These clubs last met in the 2012-13 Champions League group stage. Los Blancos won 4-1 in both legs with Cristiano Ronaldo scoring a hat-trick in Amsterdam and opening the scoring in Madrid. Ajax love scoring goals at home with wingers Hakim Ziyech and Dusan Tadic having great seasons. They have been shaky in defence lately conceding six goals to Feyenoord and four to Heerenveen. Real Madrid manager Santiago Solari has virtually a full strength side to choose from with competition for places keeping the team sharp. Expect Lucas Vázquez and Vinícius Júnior to fight hard to keep their places ahead of Gareth Bale and Marco Asensio. Ajax have seen over 3.5 goals in 9 of their last 11 competitive matches in all competitions. Ajax have seen over 4.5 goals in 5 of their last 6 home matches (all competitions). Ajax have seen over 5.5 goals in their last 4 home matches (Eredivisie). Ajax have scored 3 or more goals in their last 6 home matches in all competitions. Real Madrid have seen over 3.5 goals in 3 of their last 4 away matches (all competitions). Real Madrid have scored 3 or more goals in 5 of their last 6 matches (all competitions). Ajax love scoring goals in Amsterdam but have been alarmingly open in recent weeks. This could be an old fashioned shootout with value on over 3.5 goals at 2.30 and over 4.5 goals worth a flutter at 4.20. Real Madrid have shown they are far superior to Ajax over recent seasons and another 4-1 win is possible.